Order your Taylor 80902 Fretboard Oil 2 Ounce from AMS and enjoy Fast & Free Shipping. Get the Best Deal with our Lowest Price Guarantee & Great Customer Service! 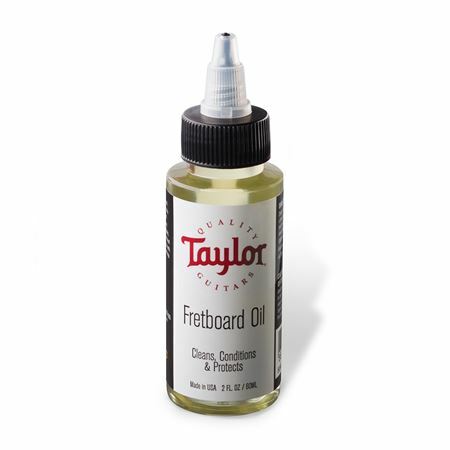 Taylor Guitars Fretboard Oil is formulated using a complex mixture of the finest ultra-refined rare oils to clean, condition and protect your fretboard. 100% free of lemon extracts, waxes, petroleum distillates, detergents and water. It leaves your fretboard looking new, playing great and feeling smooth, never sticky or tacky.